Cocotinos, Boutique Beach Resorts Cocotinos Sekotong Lombok Special Diving Packages and Free & Easy Packages are Out! Please send us an email info.desk@cocotinos.com for those sales literature. Don't forget! Cocotinos Sekotong is opening 1st August 2010! Status on 19 April 2010 - Soon, there will no longer be a need to wade out to our dive boats. Hi everyone (with an U/W camera) ! In June 2010, we have the pleasure to showcase East Meets West (literally!) photo workshops! 12 June 2010 to 18 June 2010 with William Tan (Singapore) and from 17 June to 22 June with Eric Hanauer (Stills & Video) (USA). Depending on your photography preferences, you can do either or you can have best of both More details to follow in the next few days! Last weekend was a weekend of meeting new friends and catching up with old friends. 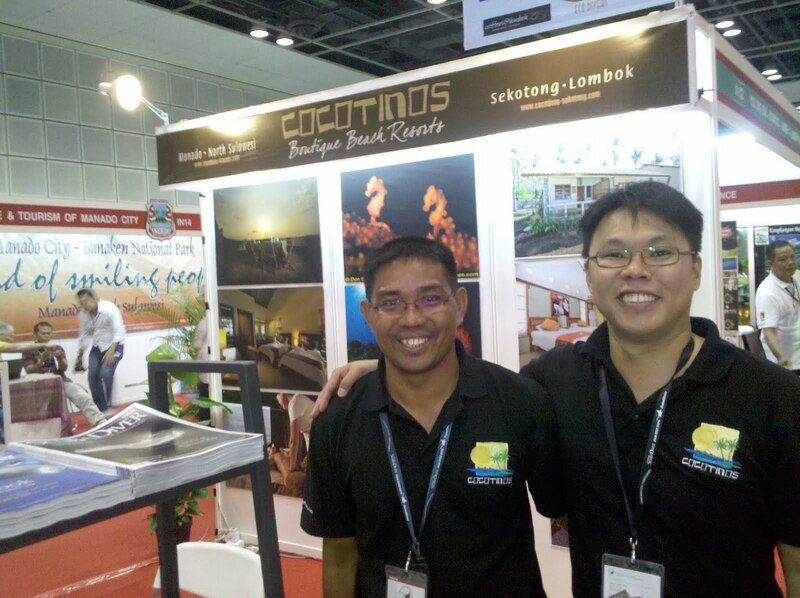 Cocotinos and Odyssea Divers - Euro Divers International's regular guests not only visited our booth, but brought along their friends whom have yet to visit our resort and introduced to them our brand of hospitality and sharing with them why the only resort to go to is Cocotinos in Manado. We would like to thank all of you for dropping by and even helping us attend to questions from visitors that are new to Cocotinos. 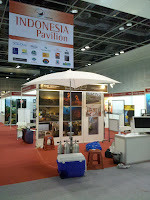 See you at ADEX 2011 and also look forward to welcoming you back to Cocotinos in Manado, North Sulawesi and Sekotong, Lombok! Hi all! Its Official! 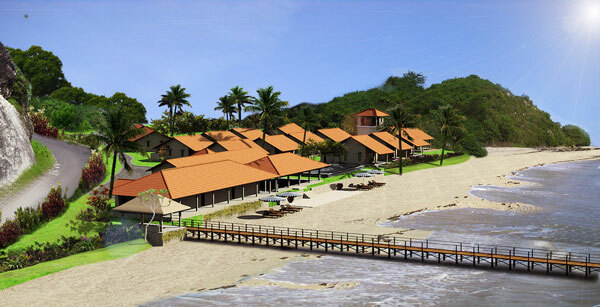 Cocotinos Sekotong will open on 1st August 2010 to receive our first guests! Currently, the Terrace Rooms and Garden Villlas will be available for bookings (7 Terrace Rooms & 15 Duplex Garden Villa Rooms) and we shall inform you once we receive more updates from the management as they progress with the other villas (6 Villas). Email us to book today! Hey all! 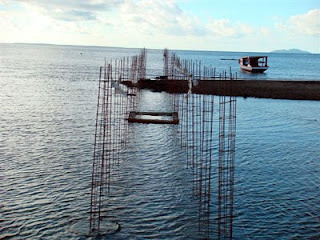 We have started the jetty extension in Cocotinos Manado 2 weeks ago! It will not be too long that wading on the beach involuntarily during low tides to and from the dive boat will be a thing of the past! The crew will be the happiest that they don't have to carry tanks during low tides to and from the boats! All in solid concrete! 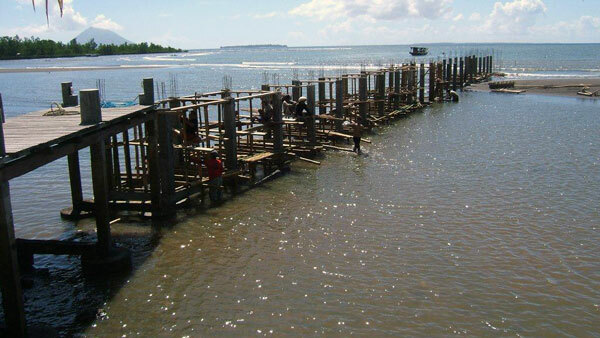 No wobbly timber jetty! 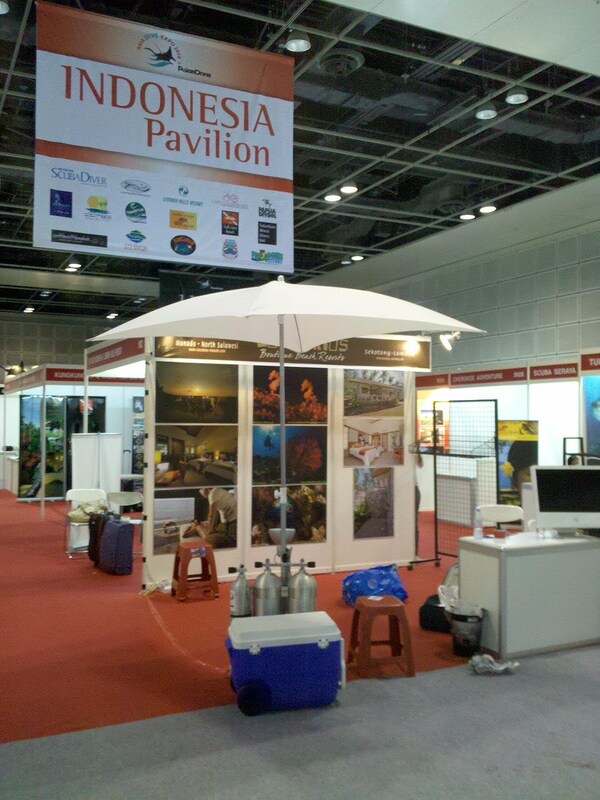 ADEX Singapore 2010 Cocotinos Manado Promotional Deals! 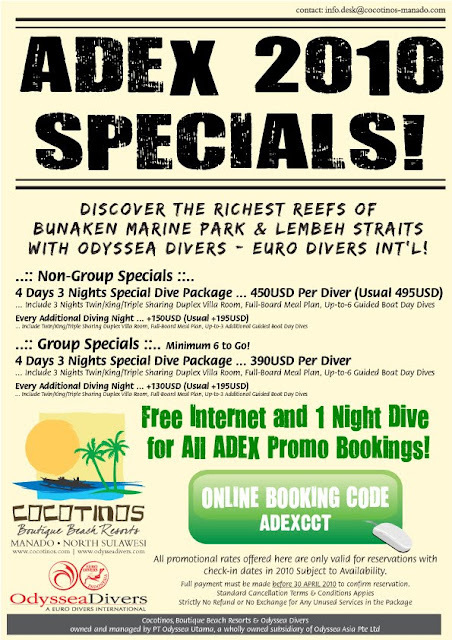 Cocotinos Manado ADEX Promotional Deals! ..:: Group Specials ::.. Minimum 6 to Go! ... Include Twin/King/Triple Sharing Duplex Villa Room, Full-Board Meal Plan, Up-to-3 Additional Guided Boat Day Dives. They stayed at Cocotinos for 6 days 5 nights and do 12 dives..
After we give them the Briefing about our Resort and the dive plan with Odyssea Divers, they did 1 dive at the House reef. The first full day dives they went to Bunaken Island we separate 2 group that time, we using 2 of our Diving Boat, Fei-Fei, 1 of our diving boat after to weeks of Renovation Fei-Fei is ready to serve the Divers. and the other of our diving boat is Delphine. we bring them to do 2 dives at Bunaken Island and 1 dive at House Reef, cos the first day they do the dive at house reef, they like to do the dive around house reef, they said that many small thing there. Central Oregon (USA) lead by Walt Bolton, Walt's group has given the all Thumbs Up! for the new layout and improved accessibility Around the Boat! After Finish the dive that day, all comeback to Cocotinos Resort to continue the activities around the Resort, some of them love to go at Laleina Spa, We have often been asked what The Lailena Spa was named after? “La Leina”simply means ‘The Sea” in the language of the Tombulu people, one of the indigenous group living in the Minahasa Highlands of North Sulawesi. The tree under which the spais built is the Hibiscus tiliaceus, a lush tree that is commonly found along the coastal areas of Indonesia archipelago. So, Lailena Spa simply means “The Sea Spa”, a name befitting its location, and which sets the tone for a wonderful and relaxing experience. Other Activity that they do during when they stay at Cocotinos Resort Manado is, Mount Mahawu Trekking, leave from Cocotinos by van and heading to the city of Tomohon, an active volcano an altitude of 1311 meters. It takes approximately 1 hour to reach the volcano’s rim, passing through potato and onion fields dotted with cows. An easy for all. Before we went to the top of Volcano we stop for take a part of Reforesting that theydo around the Volcano, Glad to be a part of the Reforesting! As a divers we’re not only taking care of the ocean, also we care about jungle J “Save Our Ocean,Go Green!”. Some of them didn’t go for trekking, they still on diving.. When we come back to Cocotinos Resort, some of them continue they activity to do Mandarin Dive, and the other, chose go for Massage at Lailena Spa. We have great time when we accompany them! 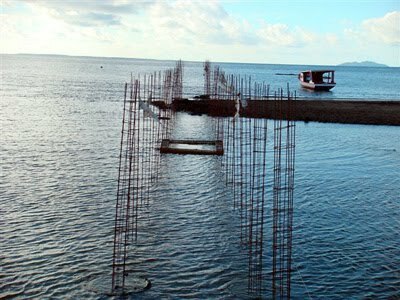 Thank you very much for your visit to Cocotinos Resort Manado! Hope to see all of you again!